Have you looked at the benefits of fitting solar to your house yet? 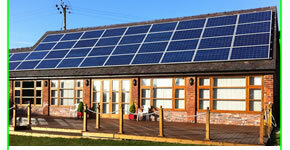 Why not secure your energy future, cut your bills and earn a great return? 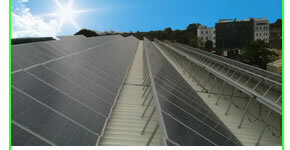 Some of the largest organisations are now turning to solar. Large scale solar installations are now a great option for both business and farmland. ......more and more people are feeling the benefits. Government incentives still make solar a positive choice. Feed your solar electricity into the grid and earn enough to pay for your system in just a few years.